Many shipping companies in Massachusetts are familiar with Churchill Claims, because we are frequently contracted by local insurance agencies as a Cargo Claims Adjuster in Massachusetts to investigate the trucking loss claims that many companies file when they incur a loss of merchandise or other financial ruin. We have years of experience with investigating shipping losses from trucking companies that are based around Massachusetts and are unfortunate enough to have experienced an incident related to one of their truckers or employees on a shipping route. 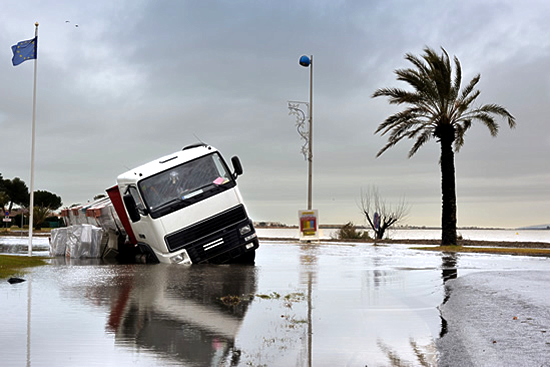 The different types of trucking loss claims we investigate are numerous. We have investigated trucking claims dealing with truckers getting into accidents that damage the company’s trucks or result in the loss of goods or damaged goods. This also covers the accidents that a company’s truck drivers get into. These are just some of things that we are contracted to investigate. When we are contracted to investigate a trucking loss claim, we will have one of our local claims investigators conduct a thorough and detailed investigation, going through all electronic records from the truck, and whatever cameras may have information available to make an accurate assessment of the case. They will also speak to other people listed in the claim that may have information about the case from eye-witness and third party accounts. We may even track the employee or truck in question to determine if there is something faulty in its functioning. We will continue our investigations until we are sure that we have compiled all the relevant information regarding a case that we need to produce for the insurance agency to make the best decision possible.